Impingement syndrome is a common source of shoulder pain for active adults, especially swimmers and baseball or softball players. The orthopedic surgeons and sports medicine specialists at Garden State Pain Control treat shoulder impingement at their four facilities in Edison, Clifton, Hazlet, and Jersey City, New Jersey. If you suffer from shoulder pain or weakness, call or book an appointment online today. Shoulder impingement is closely related to other shoulder conditions, including rotator cuff tendinitis and bursitis. In fact, these conditions may occur at the same time. When you have shoulder impingement, the rotator cuff rubs against or catches on the acromion. This causes shoulder pain and weakness, especially when you lift your arm overhead or backward. Having a previous shoulder injury, such as a dislocation, may also increase your risk of developing impingement syndrome. First, your physician at Garden State Pain Control carefully reviews your symptoms and medical history. Then, they examine your shoulder and move it in different directions to check your range of motion. They may take imaging tests, like an X-ray or MRI, to rule out other conditions, such as arthritis. They may also administer an anesthetic injection into the space beneath your acromion to determine if this relieves your pain. 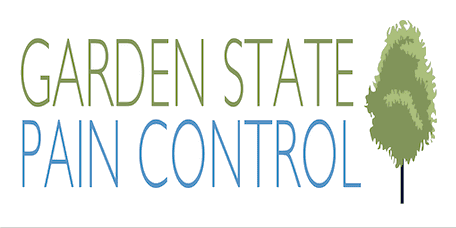 Once they diagnose your condition, the team at Garden State Pain Control develops an individualized treatment plan to relieve pain and restore function to your shoulder. If your shoulder pain and symptoms persist despite treatment, you may need surgery. The expert surgeons at Garden State Pain Control perform minimally invasive arthroscopic surgery whenever possible. However, complex cases may require open surgery. To find relief from shoulder impingement syndrome, call Garden State Pain Control or book an appointment online today.